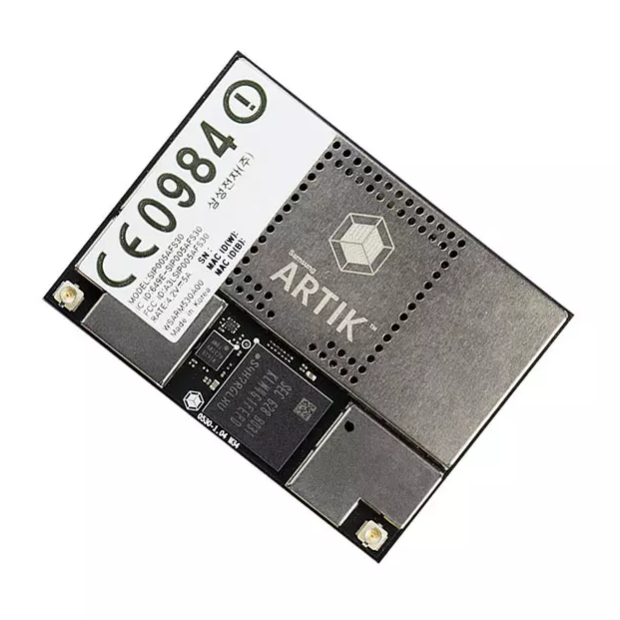 Samsung ARTIK is a integrated IoT platform, providing fast path to secure and inter-operable IoT products and services. An integrated platform, unifies hardware, software, cloud, security, and a partner ecosystem. 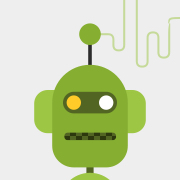 Empowers developers with easy-to-use APIs and SDKs, extensive documentation and rich tools. Enables any device to interact with any 3rd party device, app or service. Provides end-to-end security and data protection that starts at the hardware level. Protect your product assets, customer data and privacy, and operational security. Combining new data sources and applications, so you can extract the full value of your new IoT solutions. Keep up-to-date with the latest technologies, best practices, and connectors to popular devices and services. 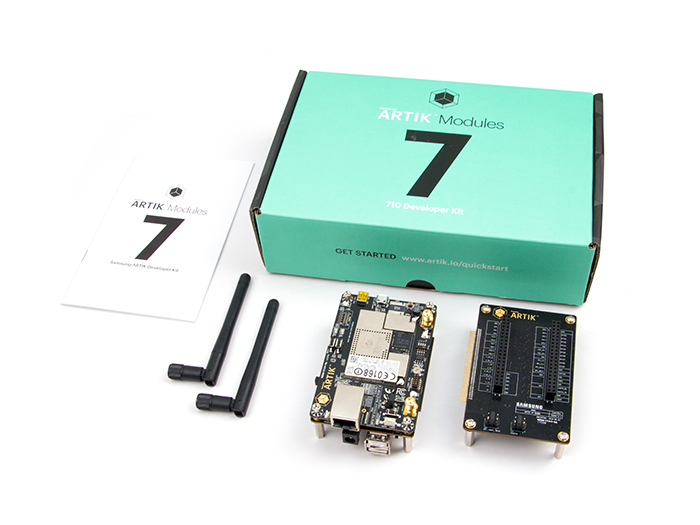 The ARTIK™ modules are divided into 0, 5, 7, 10 families based on size, power, and capabilities. 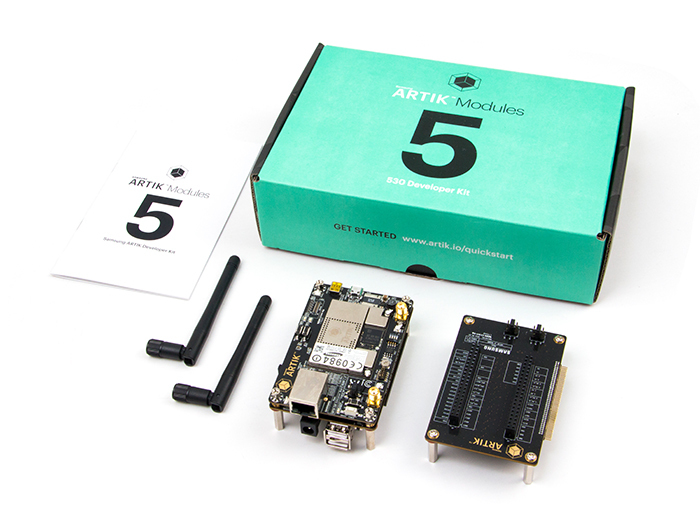 Pre-certified IoT modules and ready to integrate with ARTIK Cloud. They provide a range of modules to drive your IoT products. From the lowest level to controlling & monitoring hubs to display-based kiosks. Pre-certified RF hardware. 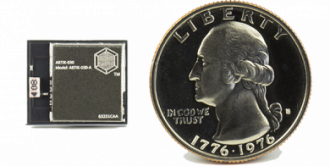 Tiny, connectable, flexible, economical Bluetooth®, ZigBee®, Wi-Fi® modules. Low power, lightweight, power- and cost-optimized to power single-function “things”. 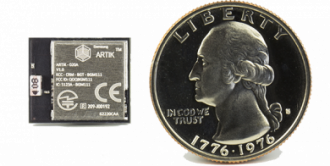 ARTIK 020 for Bluetooth® applications, ARTIK 030 for Thread and ZigBee®, and ARTIK 053 for Wi-Fi® and enhanced security. 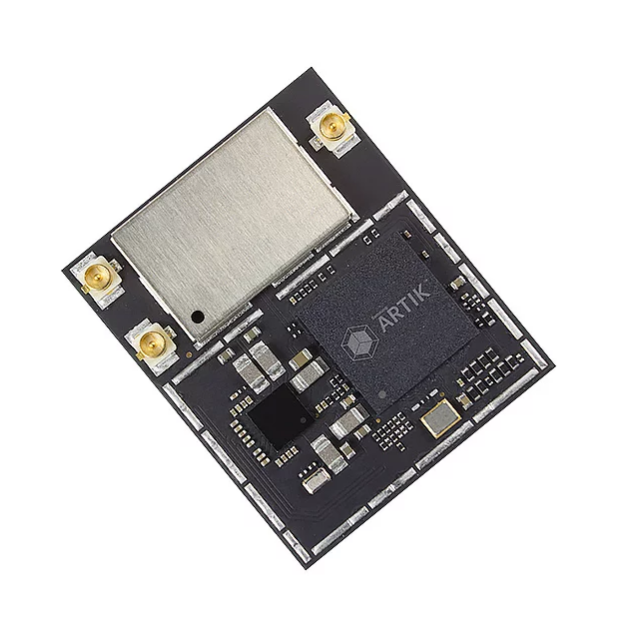 Bluetooth® module targeted for Bluetooth Low Energy (BLE) applications where reliable RF, low-power consumption, and industrial-grade application development are key requirements. Fully-integrated, pre-certified module for wireless mesh networking solutions using ZigBee® or Thread protocols. 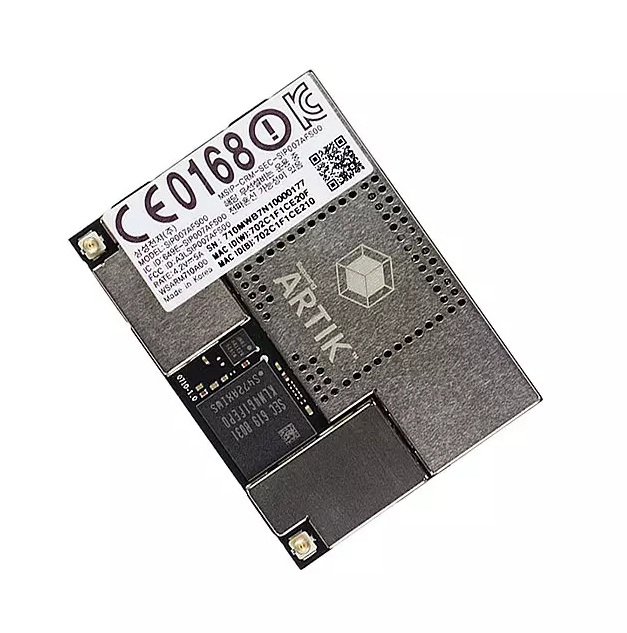 Combines an energy-efficient, multi-protocol wireless SoC with proven RF/antenna design and wireless software stacks, and an industrial-grade development environment. Bringing Wi-Fi to “things” that need compactness and connectivity. Built-in security module that keeps its factory-installed certificates and keys safe. Runs Tizen RT, and supports open-source development tools. 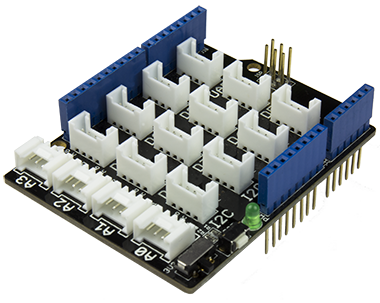 Plug on a Grove Base Shield V2 into the headers, and make use of Grove sensors. Balanced power and performance for gateways or devices with modest video and processing requirements. Built for maximum compactness. Ready to integrate with ARTIK Cloud. Includes hardware Secure Element for tight security and pre-certified RF hardware. Ideal balance of power and performance, offers target devices a great combination of computing power and storage capacity for its size. Multiple wireless options include Wi-Fi®, Bluetooth® 4.1, Bluetooth Smart, ZigBee® and Thread. Features a Quad core processor for local data processing and a multimedia engine to handle audio and video processing. Support 802.11, Bluetooth®, ZigBee® and thread. Great performance for high-end gateways with local processing and analytics to improve latency and responsiveness. Ready to integrate with ARTIK Cloud. Includes hardware Secure Element for tight security and pre-certified RF hardware. Powerful, Secure, Communicative. Eight cores to serve effectively as a gateway for a large building or a factory and also run local analytics to improve latency and responsiveness. Multiple connectivity solutions; High-end multimedia processor to handle video and audio processing. Maximum performance: use for graphics- and processing-intensive applications. Built with ePOP packaging for maximum compactness. Ready to integrate with ARTIK Cloud. Includes hardware Secure Element for tight security and pre-certified RF hardware. Ideal for applications with high local computation requirements, like model-based robotic control, virtual reality and image processing. It has built-in DRAM and flash memory, camera and display interfaces, plus a full complement of digital I/O and analog inputs. Note: The ARTIK 1020 is no longer in production.